It was always a challenge in my family to find something to do on long car rides. Since I grew up in the middle of nowhere, it was a million miles to anywhere when we finally got to take a trip. Admittedly, it’s a little easier these days, with all of the technology at our disposal. Here are some tips for a relaxed and fun family trip. Always the first line of defense between harried parents and restless children, the movie can give you miles of bliss. Many models of vehicles these days have DVD players installed, with screens in the back of the headrests. But you don’t have to forgo this electronic babysitter – you can actually rent a DVD player for your vehicle, and keep the kids occupied with their favorite cartoon or animated feature. I’ve often threatened to make the kids get out and jog beside the car for a few miles to burn off some of their antagonism. 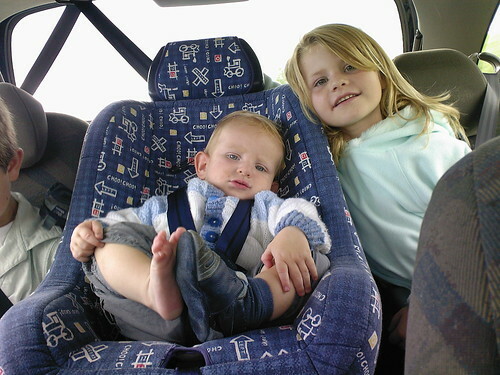 In fact, I think Dad had my two sisters and I do that once on a particularly long ride! However, with the modern development of fast food restaurants every few miles on the modern day interstates, it’s not as hard to let the kids burn off energy. 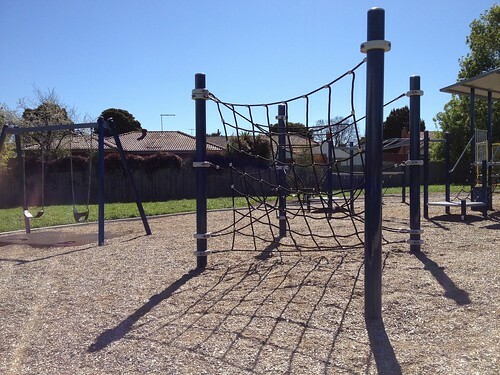 You can pull over and let the kids play in the playground of the fast food place, and enjoy the picnic area outside. Get them a kids meal once they’re good and tired, and they’ll sleep like – well – babies, for a few miles, anyway. In some cases, head games are totally acceptable when riding in the car. Since just about everybody these days has access to a computer, you can make up games that use information about each of the areas through which you’ll be passing. For instance, if you’re going to the Grand Canyon, make a crossword puzzle about the various points of interest at the canyon. There are plenty of free websites that automatically make the crossword puzzle for you. It’s the same with word searches. One traditional way to stay busy is with the Alphabet Game. Each person tries to find each letter of the alphabet in the surrounding scenery, on signs, license plates, bumper stickers, etc. The first to finish wins. Whether or not you allow the use of graffiti on trains is your family business! Some of the head games we play in the car require a certain amount of interaction. I like that, much better than one or two teenagers curling up with a sour expression and their iPod. One great form of entertainment sharing recordings of your favorite comedian. One family I know has Bill Cosby’s stand-up routines on CD, and the family listens to them on every trip. It’s a tradition, and the kids get dibs on which one to listen to first. Whatever path you choose, you can be sure that happy kids make for a happy family while traveling. Jack Dunsworth is an avid writer, He loves writing parenting articles and giving advice on keeping them under control. When he isn’t freelancing as a writer, you can find Jack working for Hippychick, a company that sells a wide range of baby products.